Harsh? Absolutely. But the point he was making was deathly serious: You get one “earth suit.” There are no returns and there's no warranty. When it's done, it's done. Figure out your weak spot and turn it over to Christ. Allow Him to be your strength; trust in Him moment by moment to deliver you because your body is an instrument of worship and righteousness. Dr. Hendricks spoke with authority on the issue because he had been similarly challenged as a young “out-of-shape” man. He made lifelong, lifestyle adjustments that, to date, have enabled him to serve at the seminary for nearly 55 years! But remember: You are destined to failure when you try to change your flesh in the strength of your flesh. Any lasting success is the result of trusting the Lord to do these things through you, rather than trying to do them on your own. Loving Father, we both know that the pleasures of the world will spoil and ruin the body You’ve given me. Keep me from choosing things that will wear me down. Give me strength to choose the things that will build me up in such a way that I can be the person You made me to be! Amen. Discover the exciting power of prayer! Do you ever feel like prayer is a foreign language? It can often seem so complicated and frustrating that you just push it to the side and neglect prayer altogether. But it doesn’t have to be this way. 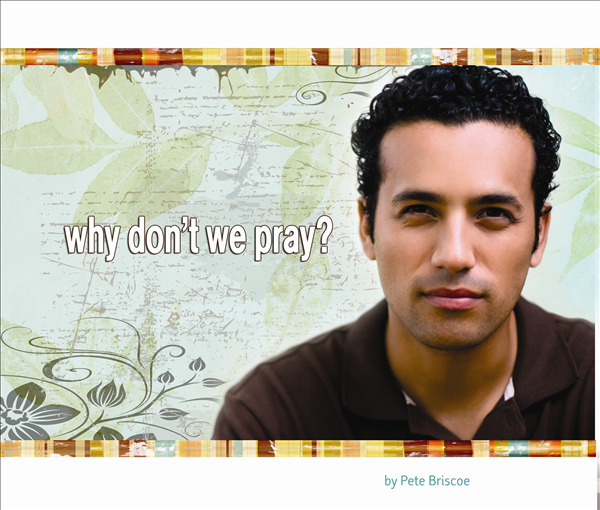 That’s why we’d like to send you a free copy of Pete’s booklet Why Don’t We Pray? Looking at the practical day-to-day reasons we struggle with prayer, Pete shares how to avoid common hurdles that tend to trip us up, encouraging reminders of why prayer is so important, and practical tips for creating an effective and powerful prayer life. Our booklets are created to give you teaching that is small enough to take with you as you travel through life, but big enough to make an impact. So request your free copy of Why Don’t We Pray? today and find the excitement and joy in prayer that God intends for you!